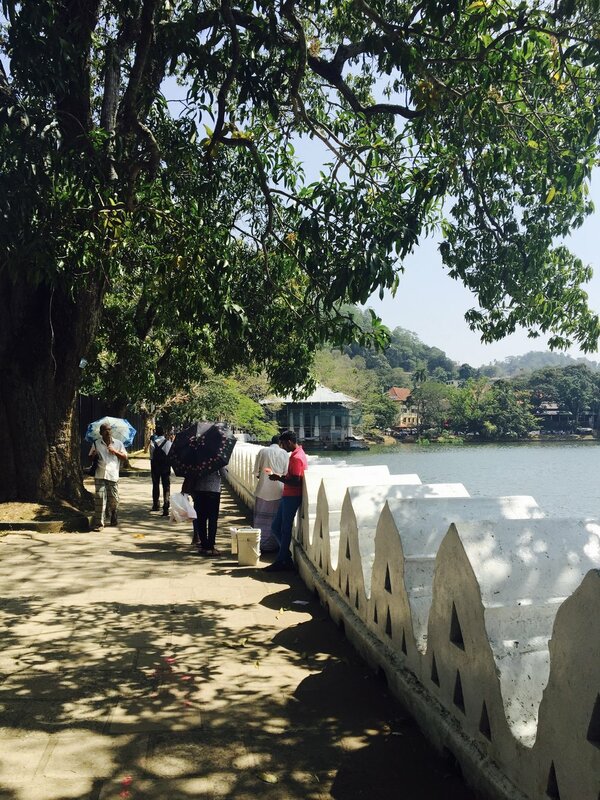 Kandy, arguably, is Sri Lanka's most important heritage city. It was the last independent kingdom. Kandyan forces successfully battled to defend the kingdom until 1818 which ended 2,358 years of self-rule on the island. This UNESCO World Heritage Site sits, surrounded by hills and tea plantations, on a central plateau, away from the heady heat of Sri Lanka's beaches. Here, the air is cooler, the food fresher and the people more gentle. Kandy is up country as Sri Lankans call it. The best way to arrive is by train from Colombo. Catch the 5.55am to give yourself the best chance of getting here in time for lunch. The train will take you through sleepy villages and remote towns ascending higher and chugging along slower up the hills. When you visit Kandy for first time the Temple of the Tooth is a must see. It's one of the most important places of worship in the Buddhist world. A tooth believed to be that of The Buddha sits in a shrine inside making it the most revered temple on the island. The city is also renowned for Kandy Lake. The last Sri Lankan king, Sri Wickrama Rajasinghe, built the artificial lake in 1807, beside the Temple of the Tooth, to beautify the town. The monarch decorated the lake with a walakulu wall (clouds). It's the best place for getting close to Kandyans. You will find families feeding ducks after visiting the temple. Street food vendors offer every savoury and sweet treat imaginable for families stopping by. Walks around its shady path are extremely popular with the locals. You will find all that is Sri Lankan in one place in Kandy: history, culture, cuisine and nature. For an unmistakeable taste of the up country try Snake Gourd, Dirty Jack, Pineapple Curry and Fat Sister on the TCT menu. All these dishes are made of vegetables that grow in abundance on Kandyan hills. Don't forget to add the rice.